While a growing literature has documented colleges and universities embracing the rhetoric of “community engagement”, only a handful have made a concerted effort to overcome the institutional challenges that can keep institutions of higher education from being truly good partners for many communities. 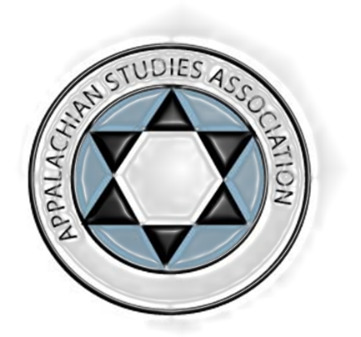 The purpose of this panel is to bring together several Appalachian-centered institutions that have initiated “relational infrastructure” change in an effort to more effectively engage in mutually beneficial partnerships with Appalachian communities. These institutional barriers include an outreach culture that sees communities (particularly historically distressed Appalachian communities) as “recipients” rather than as “partners” in engagement programs; liability- and risk-averse policies that inhibit interaction, a paucity of resources for basic logistics like travel, the mismatch of academic and community calendars and timelines, lack of administrative expertise in the rapidly professionalizing field of engagement specialists, and an absence of recognition for the in faculty promotion and rewards systems. The panelists will share both successes and stumbling blocks in their own institutional efforts to overcome these and other internal challenges to effective and mutually beneficial partnerships with their community partners. While a growing literature has documented colleges and universities embracing the rhetoric of “community engagement”, only a handful have made a concerted effort to overcome the institutional challenges that can keep institutions of higher education from being truly good partners for many communities. The purpose of this panel is to bring together several Appalachian-centered institutions that have initiated “relational infrastructure” change in an effort to more effectively engage in mutually beneficial partnerships with Appalachian communities. These institutional barriers include an outreach culture that sees communities (particularly historically distressed Appalachian communities) as “recipients” rather than as “partners” in engagement programs; liability- and risk-averse policies that inhibit interaction, a paucity of resources for basic logistics like travel, the mismatch of academic and community calendars and timelines, lack of administrative expertise in the rapidly professionalizing field of engagement specialists, and an absence of recognition for the in faculty promotion and rewards systems. The panelists will share both successes and stumbling blocks in their own institutional efforts to overcome these and other internal challenges to effective and mutually beneficial partnerships with their community partners. Alice Jones is Professor of Geography and Coordinator of Academic Programs for EKU's Center for Appalachian Regional Engagement & Stewardship, with more than a decade of experience incorporating service learning and civic engagement into her classes. Felix Bivens is the founder and director of Empyrean Research, a community-based research organization dedicated to enhancing the research and learning capacities of small voluntary organizations and to working with higher education institutions to build better community-university partnerships. Beth Vanlandingham is an Associate Professor of History at Carson-Newman College, and was co-director of the Bonner Center for Service Learning and Civic Engagement at the time C-N transitioned to a more proactive engagement model.